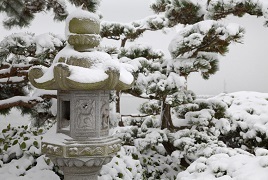 This 18 inch high stone lantern features unique designs that fuse together Indonesian and Japanese inspired traditions. 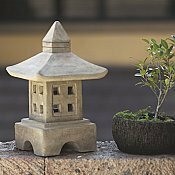 These Japanese Garden stone lanterns are cast in natural, sustainable volcanic ash and weatherproofed for indoor or outdoor use. 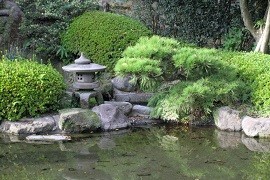 Ancient tea masters in Japan used Ikekomi-Gata lanterns to light the roji, a garden path that leads to the teahouse. 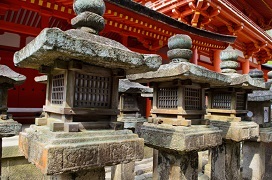 This Ikekomi-gata inspired lantern is elegantly and intricately detailed. Bring this centuries old tradition to your own tea garden. •et; Indoor or Outdoor use. Water proof for garden use.